Now celebrated as one of the great painters of the Renaissance, Michelangelo Merisi da Caravaggio fled Rome in 1606 to escape retribution for killing a man in a brawl. Three years later he was in Naples, where he painted The Seven Acts of Mercy. A year later he died at the age of thirty-eight under mysterious circumstances. 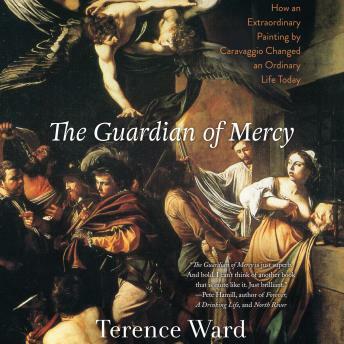 Exploring Caravaggio''s singular masterwork, in The Guardian of Mercy Terence Ward offers an incredible narrative journey into the heart of his artistry and his metamorphosis from fugitive to visionary. Ward's guide in this journey is a contemporary artist whose own life was transformed by the painting, a simple man named Angelo who shows him where it still hangs in a small church in Naples and whose story helps him see its many layers. As Ward unfolds the structure of the painting, he explains each of the seven mercies and its influence on Caravaggio’s troubled existence. Caravaggio encountered the whole range of Naples’s vertical social layers, from the lowest ranks of poverty to lofty gilded aristocratic circles, and Ward reveals the old city behind today''s metropolis. Fusing elements of history, biography, memoir, travelogue, and journalism, his narrative maps the movement from estrangement to grace, as we witness Caravaggio’s bruised life gradually redeemed by art.